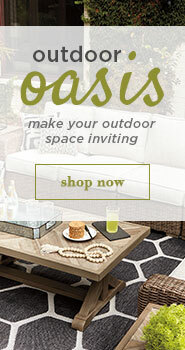 Our 72-Hour Flash Furniture Sale Offers LOWEST Prices of the Year! Spring is here and so is our INCREDIBLE 72-Hour Flash Furniture Sale on from April 15, 2019 to April 24, 2019, giving you the LOWEST prices of year so far! That’s right: we’re rocking DeKalb, LaSalle and Livingston Counties with furniture bargains never before seen. Don’t miss out on truly awesome storewide SAVINGS. Everything you see on this website and in-store, from luxurious living room recliners to counter-height dining sets and more, is DRASTICALLY marked down. Our locally owned furniture store is SO happy you the public have given us 4.9 stars for our selection and service that this is our special way of THANKING you! Got a small tax refund this year? Stretch it out thanks to the bargain bonanza going on at Curly’s Furniture. This price-slashing is so easy to use that you don’t even need a promo code! 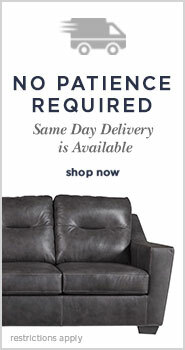 Extremely Low Furniture Sale Prices on Everything! Here are just a few of the epic 72-Hour Flash Furniture Sale deals you’ll encounter if you play it smart by buying from us. If your youngsters need furniture, check out our cool industrial Dinsmore twin bunk beds complete with BOTH twin mattresses ALL for only $498! Sink into a relaxing living room reclining sofa and loveseat for JUST $923 in your choice of 7 styles! Maybe you’d like to chill on a Nantahala 7-piece sectional, YOURS for $1338. Dolante upholstered beds in beige, gray, and brown are FLYING out of here at a mere $167! During Curly’s unprecedented 72-Hour Flash Furniture Sale, if the item you want is in stock, get SAME-DAY white-glove delivery. You read that correctly: enjoy it NOW. And while you’re here, don’t forget to ask us about our 18-month, no-interest financing. See store for details. Our 72-Hour Flash Furniture Sale and its beautiful items will be GONE in a flash so come on down! It’s all here for less at EVERY Curly’s Furniture location including our store at 1901 E. Lincoln Highway, DeKalb, IL 60115, 815-517-1334. Be here in a flash because this price-busting extravaganza is on 24/7 online and at all our stores DAILY while it lasts. Our DeKalb store is open Monday-Saturday 10am-6pm and Sunday 12pm-4pm. Been putting off that room makeover? No excuse now. Curly’s 72-Hour Flash Furniture Sale is HERE!